Nicholas Haeffner provides a comprehensive introduction to Alfred Hitchcock's major British and Hollywood films and usefully navigates the reader through a wealth of critical commentaries. One of the acknowledged giants of film, Hitchcock's prolific half-century career spanned the silent and sound eras and resulted in 53 films of which Rear Window (1954), Vertigo (1958) and Psycho (1960) are now seen as classics within the suspense, melodrama and horror genres. 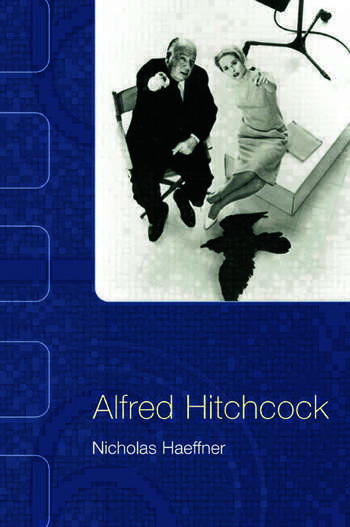 In contrast to previous works, which have attempted to get inside Hitchcock's mind and psychoanalyse his films, this book takes a more materialist stance. As Haeffner makes clear, Hitchcock was simultaneously a professional film maker working as part of a team in the film factories of Hollywood, a media celebrity, and an aspiring artist gifted with considerable entrepreneurial flair for marketing himself and his films. The book makes a case for locating the director's remarkable body of work within traditions of highbrow, middlebrow and lowbrow culture, appealing to different audience constituencies in a calculated strategy. The book upholds the case for taking Hitchcock's work seriously and challenges his popular reputation as a misogynist through detailed analyses of his most controversial films.